On Sale Now! Free Shipping Included! 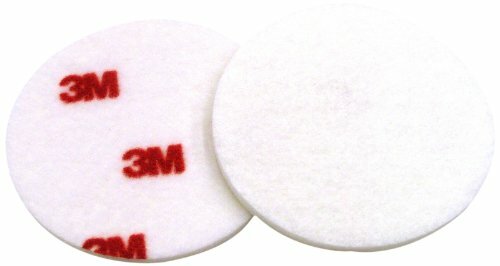 Save 5% on the 3M Finesse-it Buffing Pad 09357, Hook and Loop Attachment, 3'' Diameter, Red/White (Pack of 500) by 3M at In The National Interest. MPN: 134375382878. Hurry! Limited time offer. Offer valid only while supplies last. 3M Finesse-it felt buffing pad provides a soft, smooth surface for applying the Finesse-it polishes. Has Hookit attachment system. Color: red/white. 3M Finesse-it felt buffing pad provides a soft, smooth surface for applying the Finesse-it polishes. Has Hookit attachment system. Color: red/white. Diameter: 3-inches. Function/attachment style: hook and loop, buffing pads. Max opm: 12000. Max rpm: 12000. Type: regular.